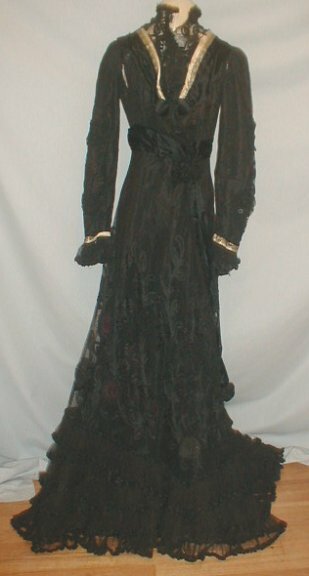 An ornate 1912 Edwardian black lace evening dress. 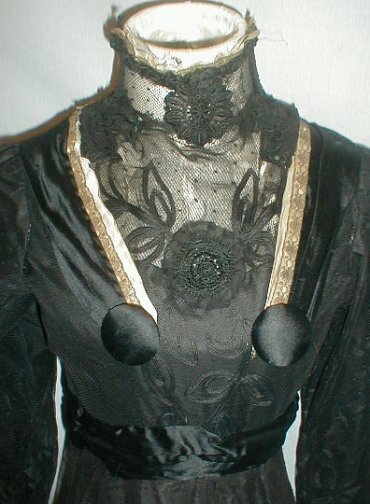 The bodice has a high neck lace insert and bands of black satin and black satin decorative buttons. 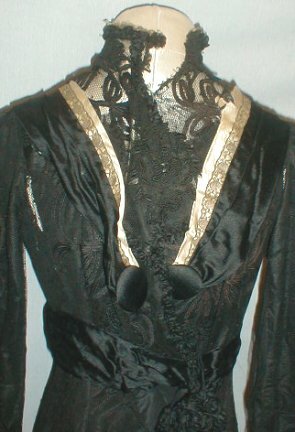 There is a thin band of ivory silk and gold metallic lace around the neckline and sleeve cuffs. 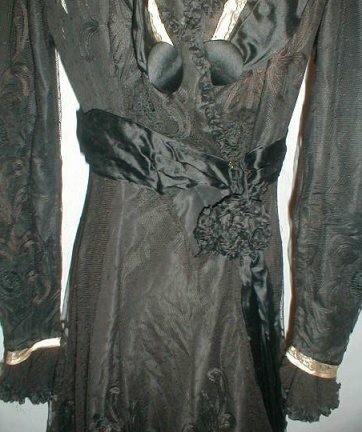 The waist is trimmed with black satin ribbon with long streamers. The skirt has scattered rosettes that have black and purple crocheted centers. 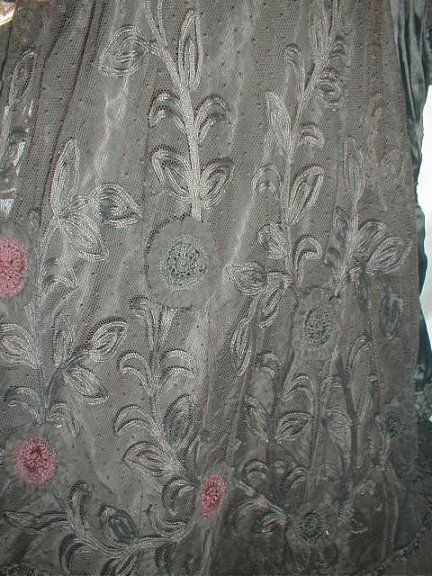 The hemline is decorated with 5 lace flounces. The dress is fully lined with black silk and has a back hook and eye closure. The dress is in good condition. 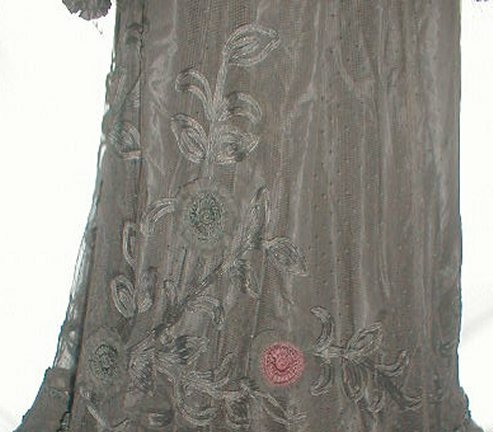 There are splits in the lace around the neckline and the lining is splitting, mostly in the bodice and sleeves. There are a couple of pea size holes in the lace on the skirt and some wear to the ivory silk ribbon. Bust 32 Waist 25 Skirt length 47. 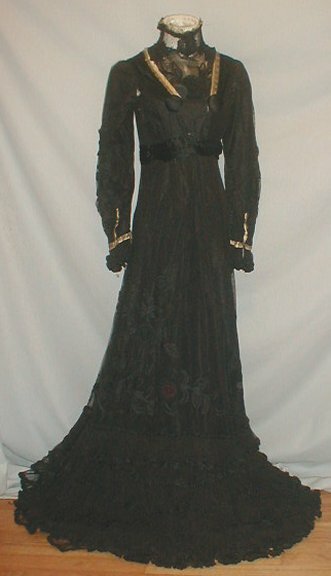 Based on the overall silhouette, I'm thinking 1909. 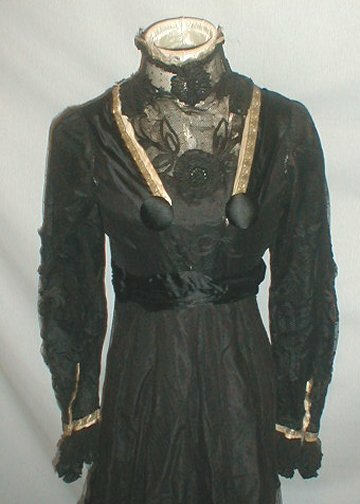 The way the skirt is shaped and high neckline would seem more in place then then in 1912.